Give your callers the benefit of rich visual interactions and drive channel-shift to digital self-service solutions. Do you want to drive up automation, channel-shift customers to digital or provide 24/7 support? Traditional IVRs are great at call routing and Natural Language can open up a world of possibilities for customers but some enquiries really need a visual interface to help resolve them, and today these calls can end up taking hours of your agents' time. Perhaps customers need to complete a complex application form, browse through long lists of tariff choices, send a picture of a damaged item or review long-winded terms and conditions. Maybe the agent would like to send a diagram and instructions to help troubleshoot a problem, perhaps they want to send the customer directions to the nearest store or get a signature for a loan agreement. The trouble is, explaining terms, details and choices can be laborious. Delays frustrate anyone. Customers loathe spending time trying to sort issues that seem fairly basic. And it's a poor use of agent time, which increases your costs and reduces both customer and agent satisfaction. 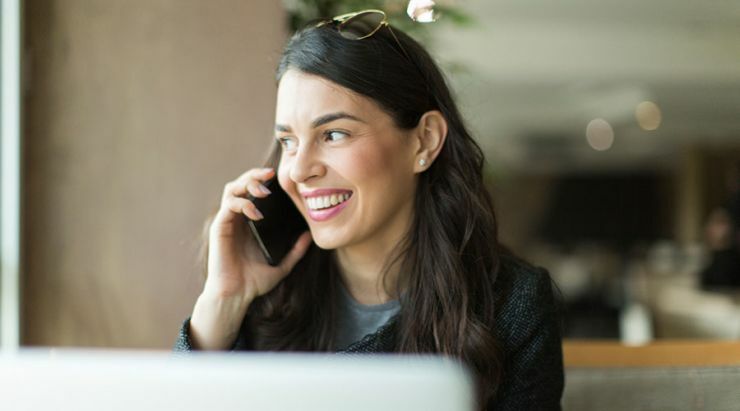 Limiting your customer interactions to the voice channel means that you’re using 5% of a modern smartphone’s capability and losing the opportunity to have rich multimodal conversations with your customers. Reading out terms and conditions for upgrades, new connections and insurance. Channel-shift the customer into new or existing digital solutions. Optionally, keep the caller on the phone throughout to provide an agent safety-net. Send the caller knowledge-base articles to answer common questions. Provide the caller with a visual interface to navigate through options. Take payments using mobile wallets. As a result, you can benefit from increased first call resolution, reduced handling times and better customer service. You can also ‘drop’ components into your IVR flow to increase self-service. Our core service is a visual display on smart-phones that interacts with traditional voice services. It allows callers to select their reason for calling on their mobile screen which delivers it to the most appropriate resource. The service avoids their need to navigate complex and frustrating touchtone IVR menus. It also allows the introduction of other smart multi-channel capabilities. This service enables an exchange of multimedia information between callers and agents so a number of steps within a process can be completed in a single call. It presents complex information in a visual format for easier understanding — and allows resolution of issues in real time. This service shows each customer’s recent activity. It tracks web and app session history from customers and delivers the information to an agent. Smart Contact saves customers from using touch-tone IVR menus and provides them with relevant information before they speak to an agent. Meanwhile, your agent gets a clearer understanding of the callers actions prior to the call.